Country fans rejoice, because there’s another summer of music and a sweet deal up ahead! 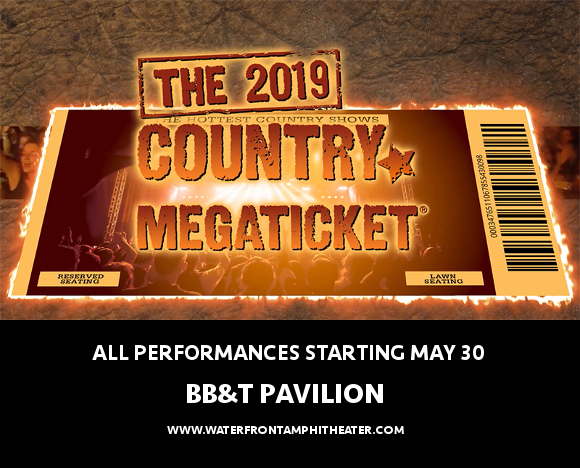 The BB&T Pavilion is proud to once again host the Country Megaticket – your one-stop-shop to get access to all the very best country performances of the season!! This year’s line-up includes Chris Young, Dustin Lynch, Dierks Bentley, Cole Swindell, Thomas Rhett and more – it’s all starting on Thursday 30th May 2019! These limited offer tickets are expected to sell out fast, so don’t delay – grab yours right now, while you still have the chance!! The Country Megaticket is an unparalleled deal for country lovers, granting access to EVERY major country show at participating venues over the summer season!! If you want to see the most acts at the best possible price, you’ve come to the right place. And what an incredible series of shows it’s going to be – just check this list out!! Does that look like an unbeatable offer to you or what?? Don’t delay – grab those tickets while they last, because if previous years are anything to go by, it won’t be for long! !